Whether you’re relaxing or dining alfresco on your ocean-front terrace, gazing out at the sea from the shower, or drinking in the beauty of the ocean a stones throw from the property’s glittering showpiece infinity pool, Piedra del Mar promises postcard perfect views at every turn. 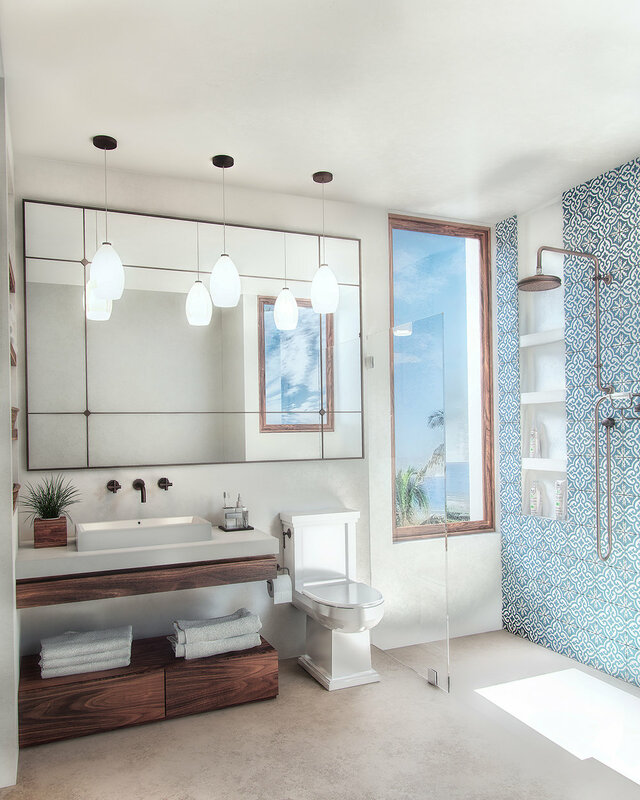 As well as a private sea-front terrace, the ground floor apartments boast outdoor and indoor showers with ocean views, and their own private interior tropical courtyard gardens. But it doesn’t matter if you’re gazing up at the stars from the shower, enjoying a glass of wine with the doors flung open, are curled up on your bedroom window-seat watching the sun set or simply enjoying the tropical garden backdrop as you wander through the glamorous glass corridor that connects your living and sleeping quarters. Every apartment at Piedra del Mar promises to bring you the magic of Mexico’s most desirable and beautiful coastline in the privacy of your own Caribbean seafront home. While we we will make every effort to stay with our original designs, artist renderings and floor plans are for illustration purposes only and may be subject to change.